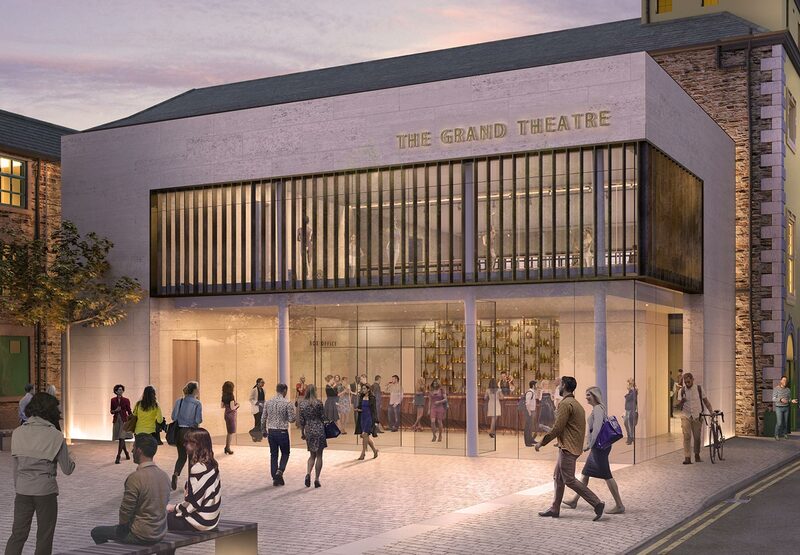 Revised plans have been revealed for a new £2 million extension to Lancaster’s The Grand Theatre. The oldest theatre in the city and the third oldest in Britain, The Grand has submitted proposals by architect 3DReid for the creation of a two storey-extension which would provide an additional 4,200 square foot of space. The grade II Listed theatre, which opened in 1782, has released the proposals more than 10 years after planning permissions were first granted. Coined as a ‘glass box,’ the extension will increase circulation space and improve disabled access through the installation of a wheelchair platform lift. Plans also boast a new and revamped foyer, studio performance and meeting space, and coffee and alcohol bars for theatre-goers. Widely accepted as a major part of the social and cultural scene of Lancaster, The Grand has had many names such as ‘The Theatre’ and ‘The Athenaeum.’ Opened by actor Joseph Austin, the venue held host to performances of The Orphan of China, Macbeth and Hamlet in the 18thcentury. Original planning application lapsed in 2008 as a result of a lack of implementation, and again in 2016 due to highways issues. Plans will be recommended for approval if these issues are resolved, which would mean including works for a new access, a dropped kerb, and reinstatement of a footway. If approval is granted, there is set to be an intensive fundraising campaign to gather funds for the extension, which has a target build date of 2021. The theatre is owned under a Trust arrangement by registered charity Lancaster Footlights who bought the venue in 1951 to save it from demolition. Half a million pounds has already been raised for the extension, helped by a donation from Tony Yates, an ‘avid’ supporter of the Grand Theatre. Having been in continuous use since its opening, the Grand Theatre seats 457 on two levels and plays host to a number of amateur and professional shows. To find out more about the new foyer and how you can contribute to the fundraising, visit the Lancaster Grand Theatre’s website.